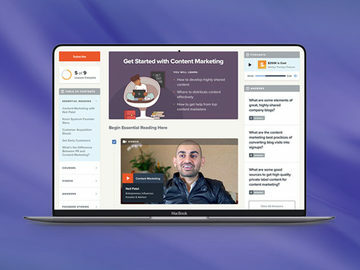 Another busy week has come to an end across the tech world, filled with all sorts of exciting developments, and one or two surprises. 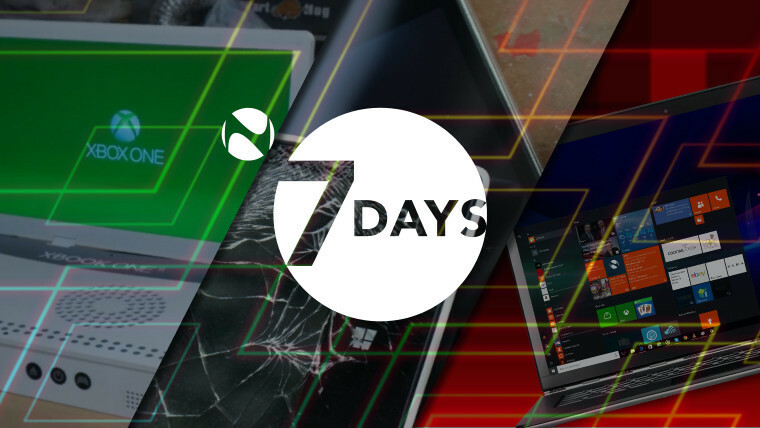 But don't worry if you think you might have missed something, for 7 Days is here once more to guide you through what's been happening, and bring you up to speed. 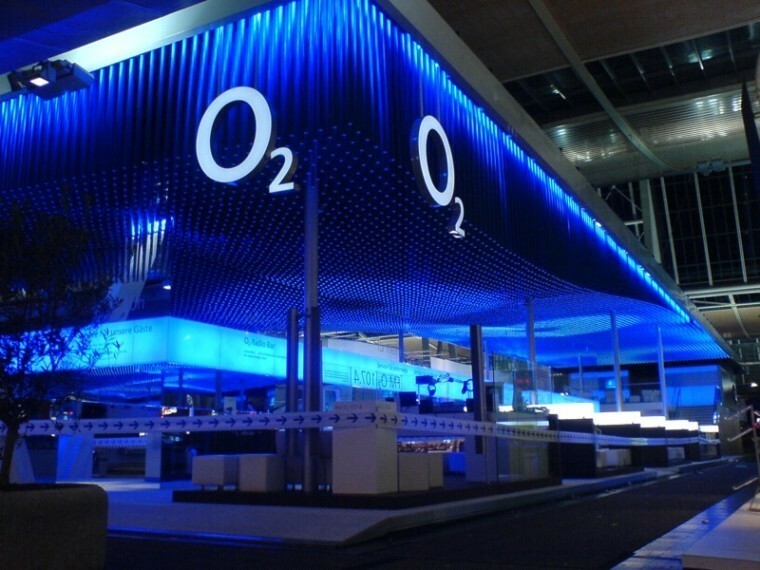 Our journey begins this week in the UK, where O2, one of the country's largest mobile operators, was found to have distributed a 'Windows-specific virus' on promotional USB sticks sent to some of its business customers. Google found itself in the middle of a maelstrom of controversy, after campaigners demanded that it reinstate Palestine on its Maps platform. But despite claims that the company had deleted Palestine from its mapping service, Google insisted that it was never labelled as such in the first place. 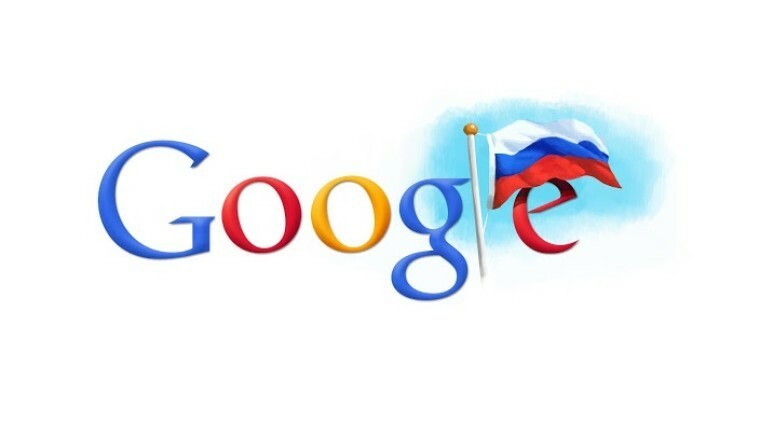 Google had more headaches to deal with in Russia, where regulators found that the company had abused its dominant mobile market position, by requiring its hardware partners to pre-install its services on their respective Android devices. 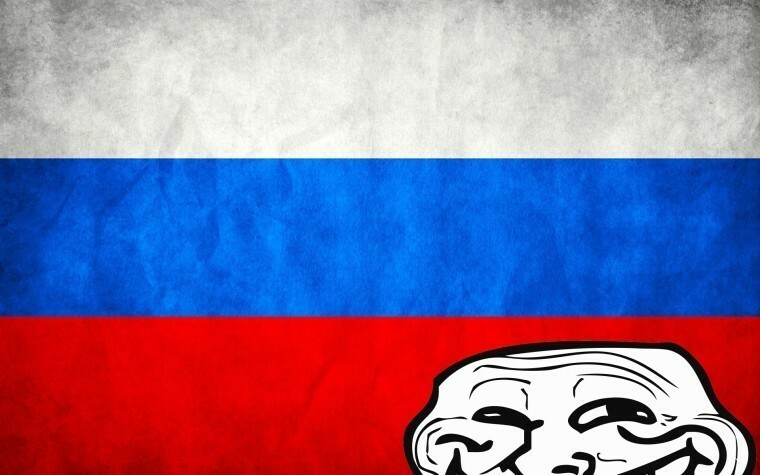 Authorities said that this unfairly restricted competition from other providers, such as Russia's Yandex search engine, and fined Google $6.75 million. 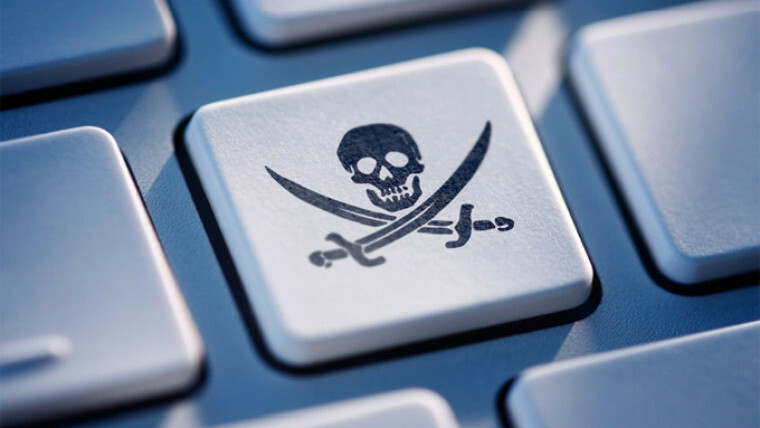 Russian authorities are working with entertainment industry groups to draft new anti-piracy legislation, aimed at holding social media platforms accountable when their users upload content that infringes on copyrights. 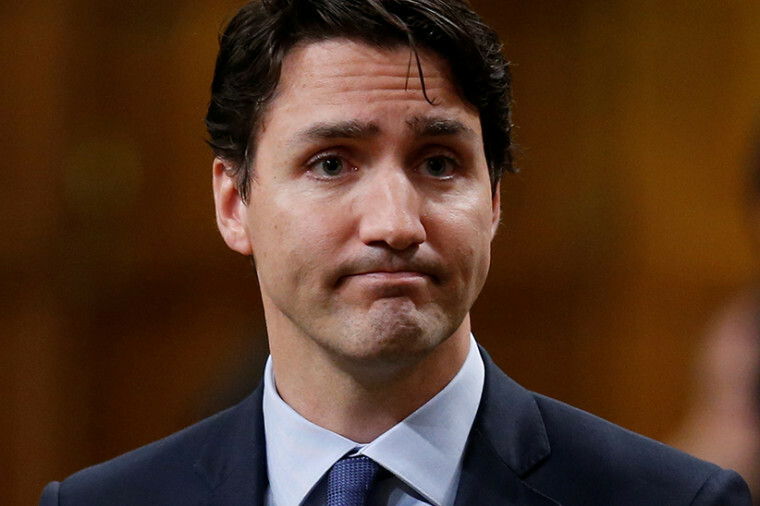 Over in Canada, a number of police departments, including those of Vancouver and Edmonton, have admitted to using controversial 'stingray' technology, capable of spying indiscriminately on their citizens. 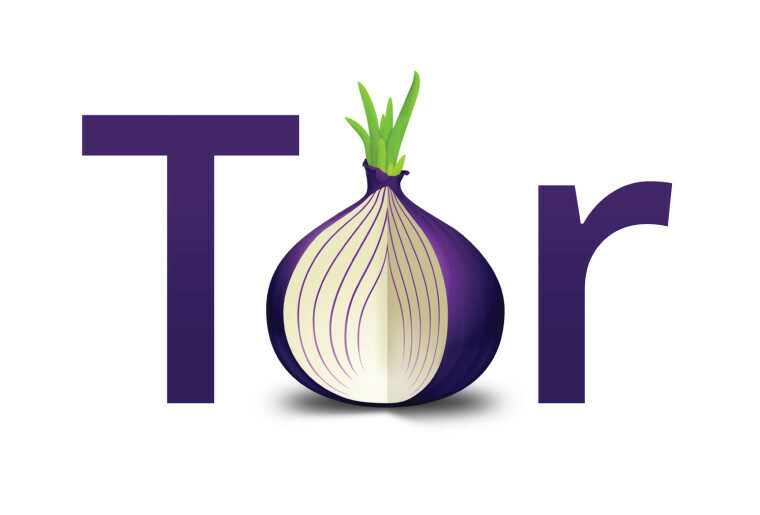 Those who value their online privacy above all else will no doubt be familiar with Tor. This week, the Tor Project published a "social contract" outlining its commitments to users, and vowing not to build backdoors into its software. 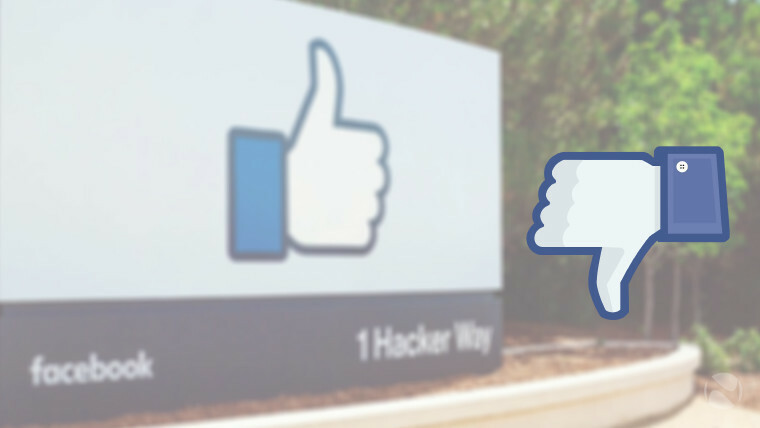 After taking on 'clickbait' on its News Feed last week, Facebook announced this week that it would forcibly bypass the use of ad-blockers on its site, allowing it to serve more ads to its users, whether they like it or not. The social network said its changes were motivated by "principle". 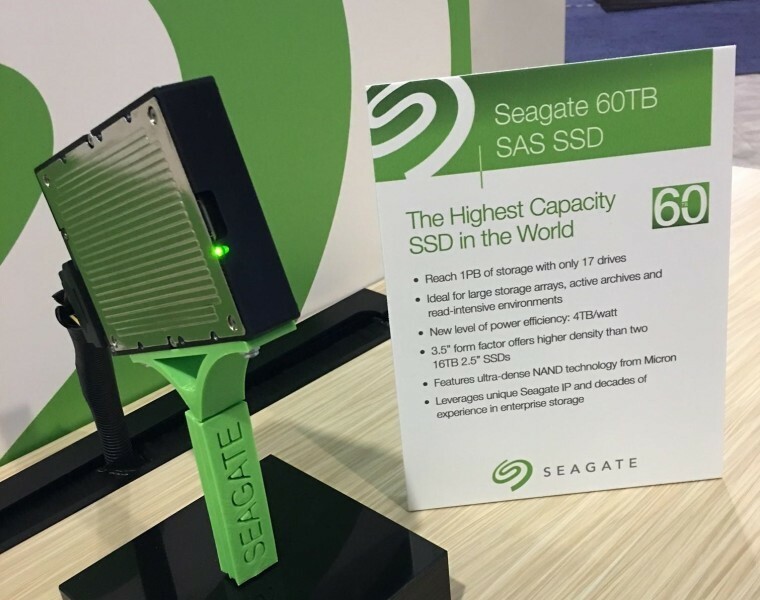 Seagate showed off its new solid-state drive (SSD) featuring a staggering 60 terabytes of storage. 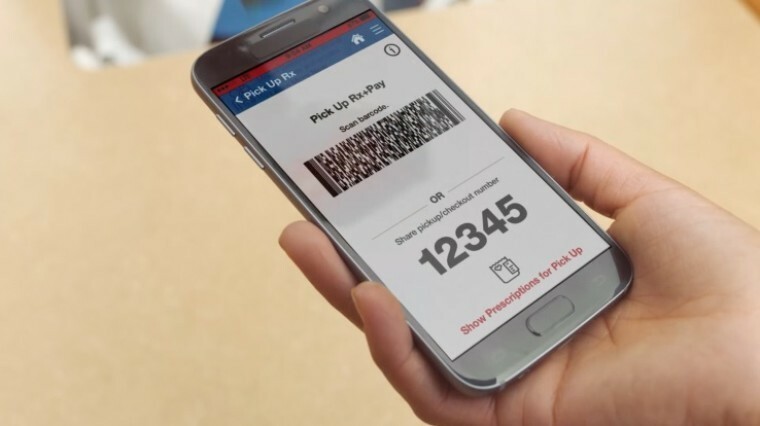 In a bizarre move, US health giant CVS Pharmacy announced the launch of its own mobile payments platform, while continuing to offer no support for more widely available services such as Apple Pay or Android Pay. CVS believes that its end-to-end payment solution for its own products and services is somehow more user-friendly than simply supporting the payment platforms that its customers use everywhere else. Apple is reportedly preparing to launch new MacBook Pro notebooks with a Touch ID fingerprint sensor embedded into the power button. 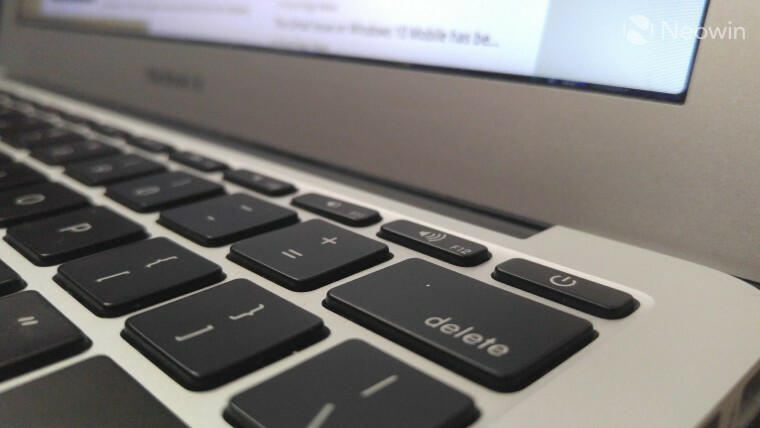 The next-gen laptops are also believed to have an OLED 'touch-strip' above the main keyboard, displaying app-specific controls. 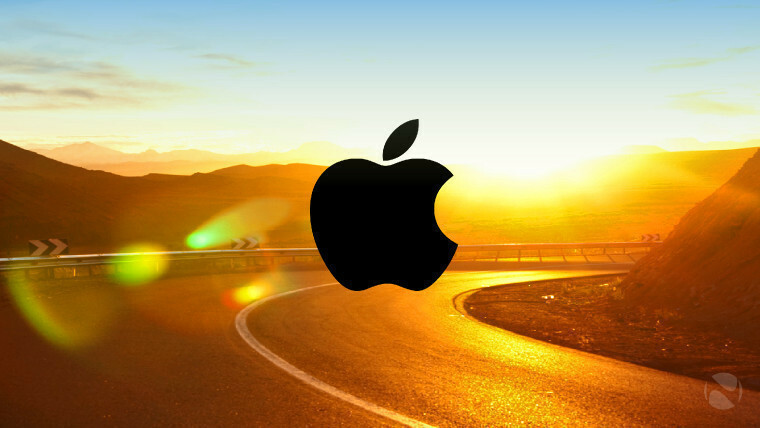 On Tuesday, Apple released its fifth developer betas of iOS 10, macOS 10.12 Sierra, watchOS 3 and tvOS 10. It also rolled out Public Beta 4 of iOS 10 and macOS Sierra. We're big fans of the HTC 10, which earned itself a very good score in our review earlier this year - but it doesn't seem to have won much love among buyers at one of America's largest carriers. 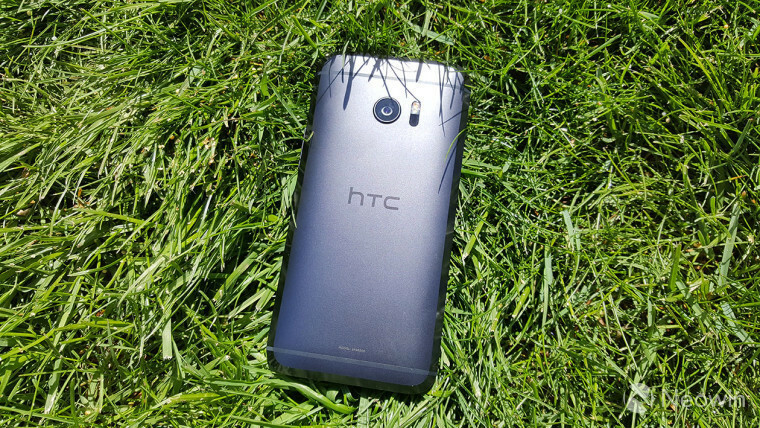 Just two months after T-Mobile started selling the high-end handset, the HTC 10 was dropped from its range. 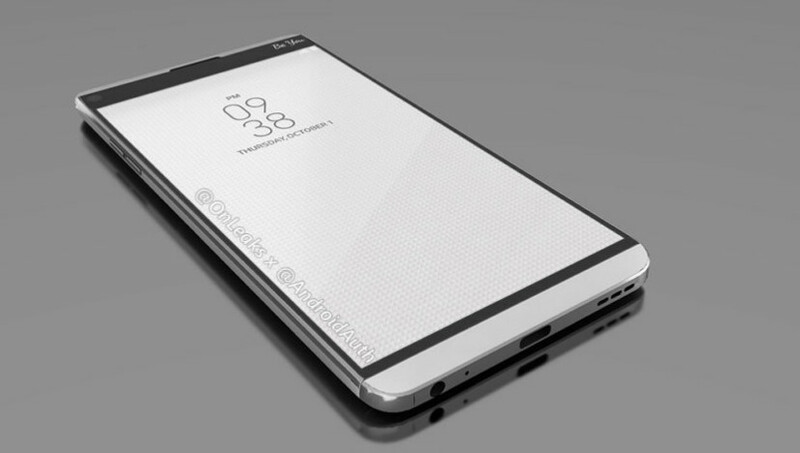 Unofficial renders appeared this week purporting to show the design of the V20, LG's new flagship, and successor to its unusual dual-display V10. LG revealed on Thursday that the V20 will feature a Quad DAC (digital-to-analog converter), promising superlative audio playback capabilities. 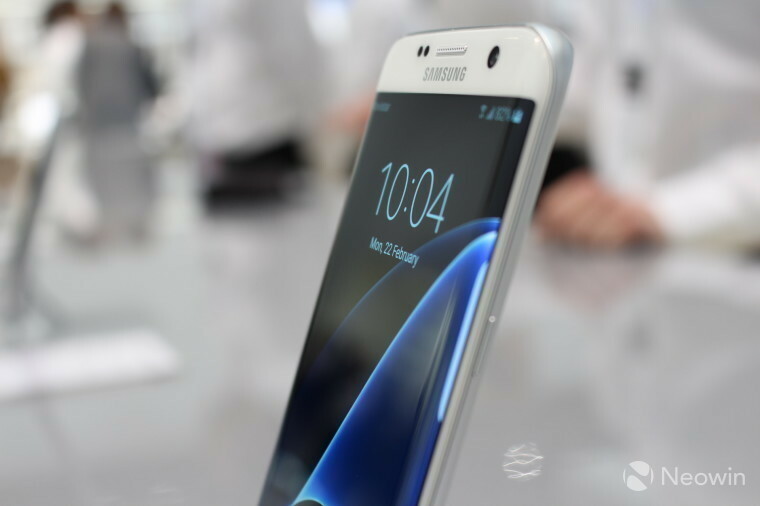 Samsung dropped a big hint that it may not sell a 'flat' display version of next year's Galaxy S8, and other future S-series handsets, offering those devices only with dual-curved 'edge' displays. Samsung's latest flagship, the Galaxy Note7, will ship with Android 6.0.1 Marshmallow onboard - but the company is believed to be planning a (relatively) swift upgrade to Android 7.0 Nougat. Meanwhile, shipments of the Galaxy Note7 have been delayed in some markets, including Malaysia and the Netherlands. 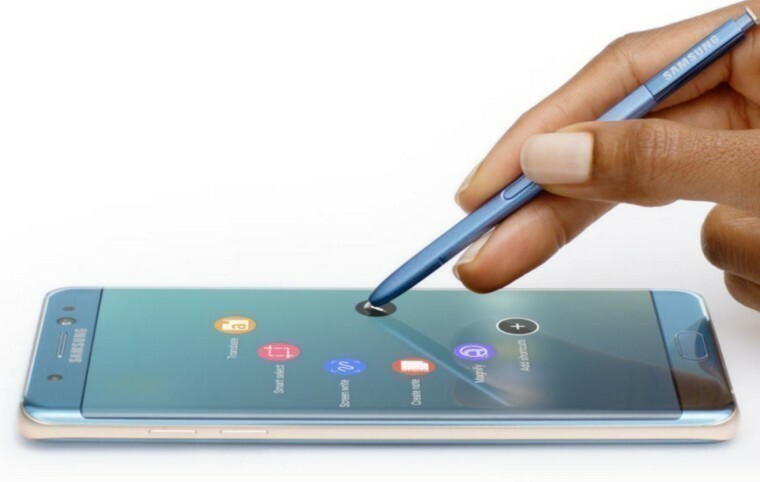 But on Tuesday, Samsung announced the device's launch in India, priced at Rs.59,990 ($895), where those who pre-order it will get three months of free unlimited voice calls and 4G data. 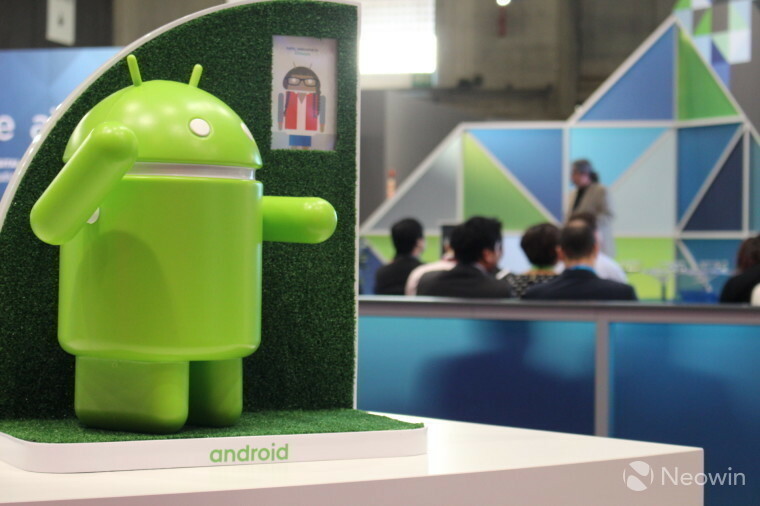 India is a hugely important market for companies selling Android handsets. The latest data from Strategy Analytics shows that Android devices now account for an incredible 97% of shipments in the world's third-largest smartphone market. The latest data from Kantar Worldpanel ComTech also showed strong year-over-year gains for Android sales market share in many of the world's top smartphone markets. 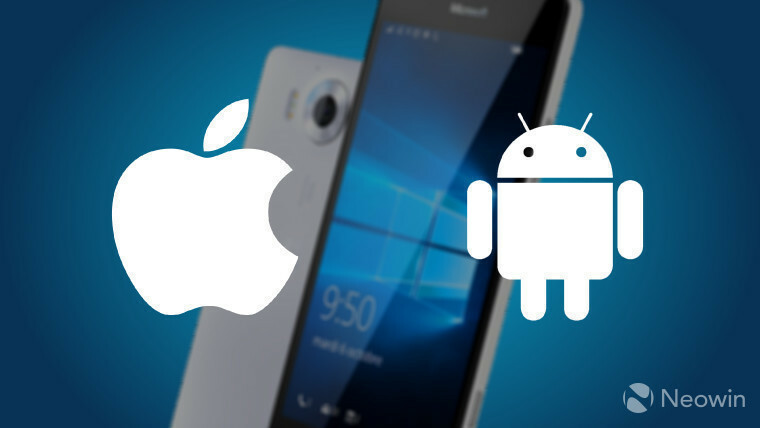 iOS increased its share in the US and the top 5 EU markets - but unsurprisingly, Windows phone sales continued to decline. 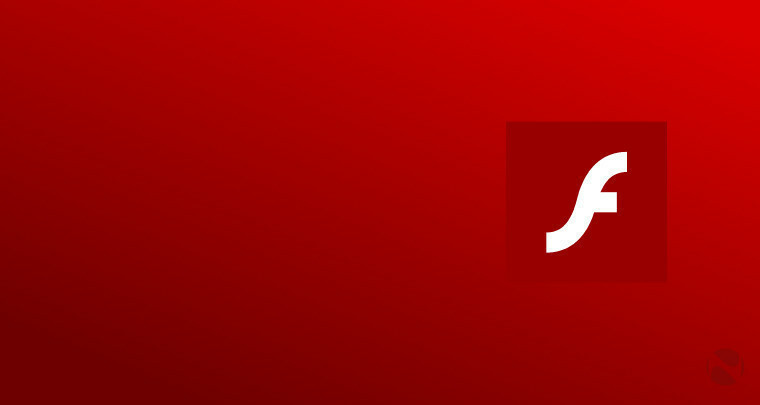 Google announced earlier this week that its Chrome web browser will begin blocking Flash content on websites in September, with HTML5 becoming the default media experience from December. Google is apparently working on a new operating system project known as 'Fuchsia'. Based on two different kernels, the new 'unified' OS is intended to operate across a wide range of systems, including PCs, phones, tablets and Internet of Things devices. Frustrated Gmail users recently reported that they were unable to add their accounts to the Mail and Calendar apps on Windows 10 Mobile devices. 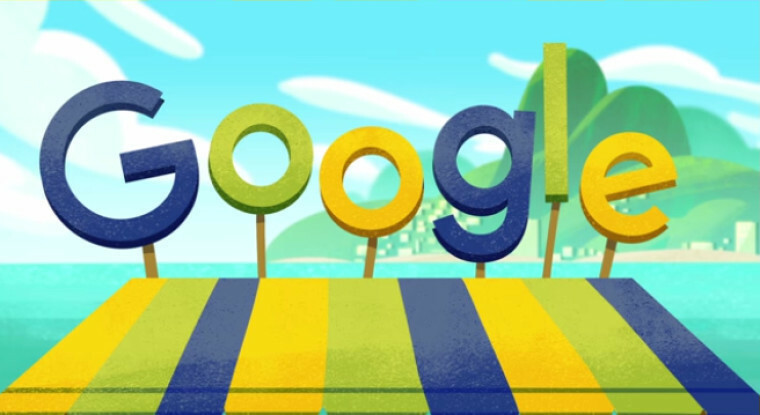 On Tuesday, Google apologized for the issue, and confirmed that it had been fixed. Our regular readers will likely be familiar with AdDuplex, which provides monthly statistics on worldwide Windows phone usage. 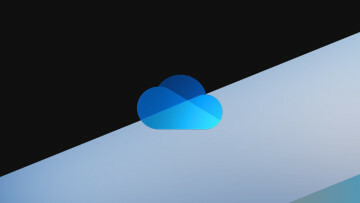 Alan Mendelevich, who runs AdDuplex, published a scathing assessment on Wednesday of the state of Microsoft's mobile strategy, and how it's allegedly failed the developers who build apps for its operating systems. 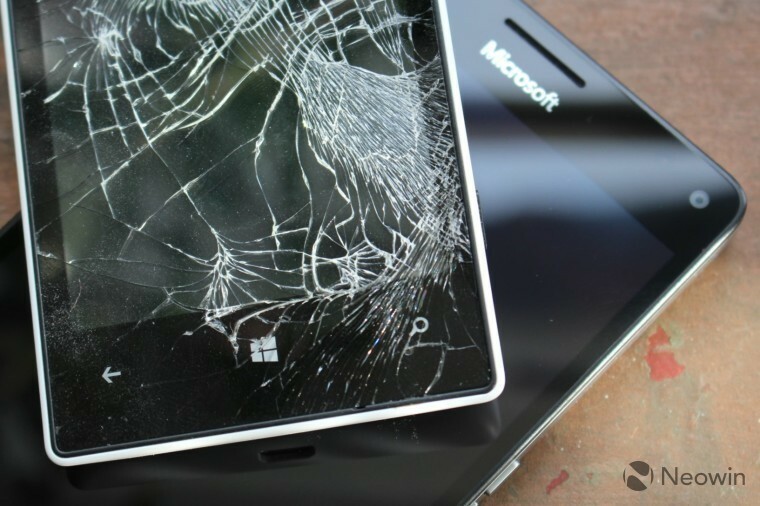 He accused Microsoft of having set expectations for Windows 10 Mobile usage that it failed to meet, after breaking its promise to upgrade all Windows Phone 8.1 devices to the new OS. He also criticized Microsoft for doing virtually nothing to encourage upgrades among the few devices that are eligible to do so. Additionally, he called out Microsoft's questionable Windows Store policies, and suggested that "a lot of things they said and did (or in many cases didn't do) affected a lot of Windows developers dramatically". If you have an interest in Microsoft's mobile efforts, it's definitely worth taking a closer look at his comments. A document spotted on Microsoft's website this week shares a few insights into the development of the PC-like Continuum experience on Windows 10 Mobile, including the fact that it was developed under the codename 'Modern Glass'. 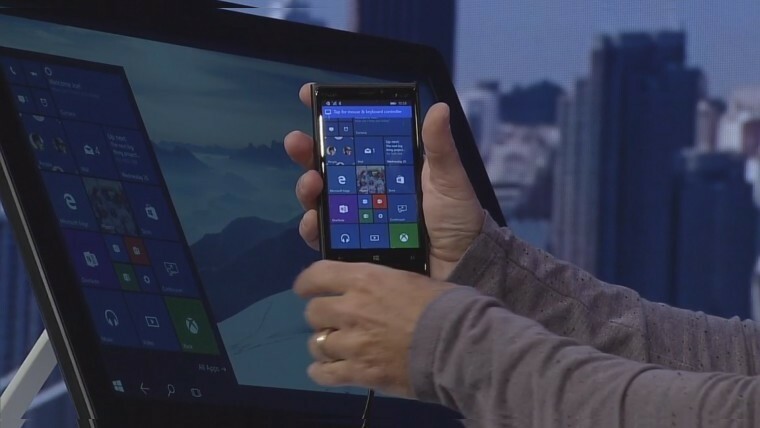 HP's upcoming Elite x3 flagship is one of several devices that supports Continuum. 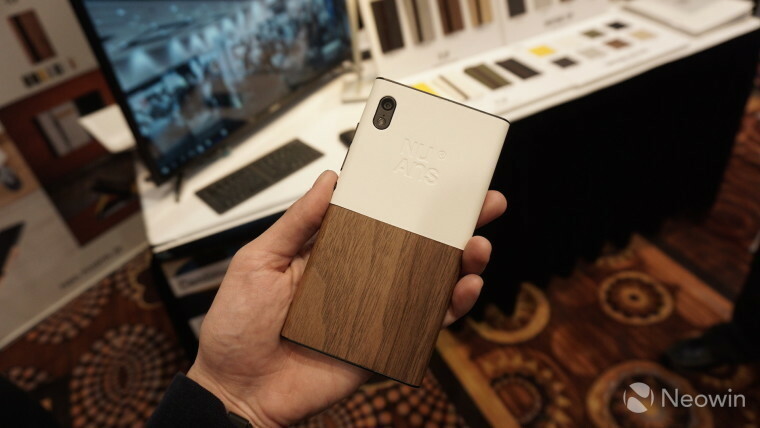 The company confirmed to Neowin on Tuesday that the high-end handset will be available to purchase on its US website from September 5. HP began accepting orders for the Elite x3 in the UK this week, priced at £707 - but that price covers just the handset, whereas the Microsoft Store is offering the device for £749, including the Desk Dock accessory for Continuum at that price. Another device that supports Continuum is the NuAns Neo. The Japanese company aimed to offer the distinctive Windows 10 Mobile around the world through a Kickstarter campaign - but it failed to meet its goal by a long way. After 45 days, it received fewer than 500 commitments to buy the device worldwide, with less than 20% of its $725,000 funding target. 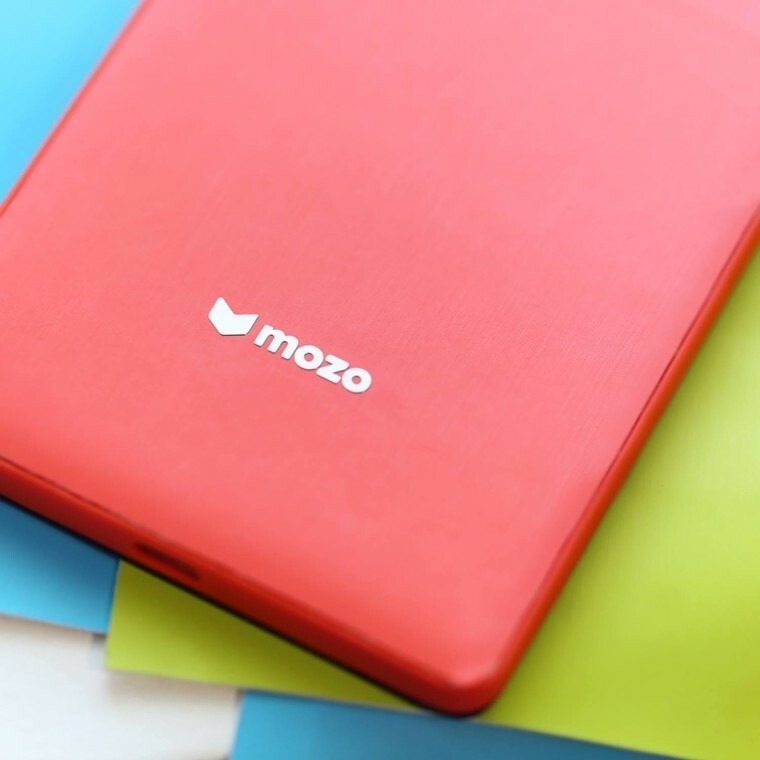 Mozo, an official manufacturer of 'Designed for Microsoft Lumia' accessories, is reportedly discontinuing its range of colorful rear covers for the Lumia 950 and 950 XL flagships, less than three months after it began selling them. 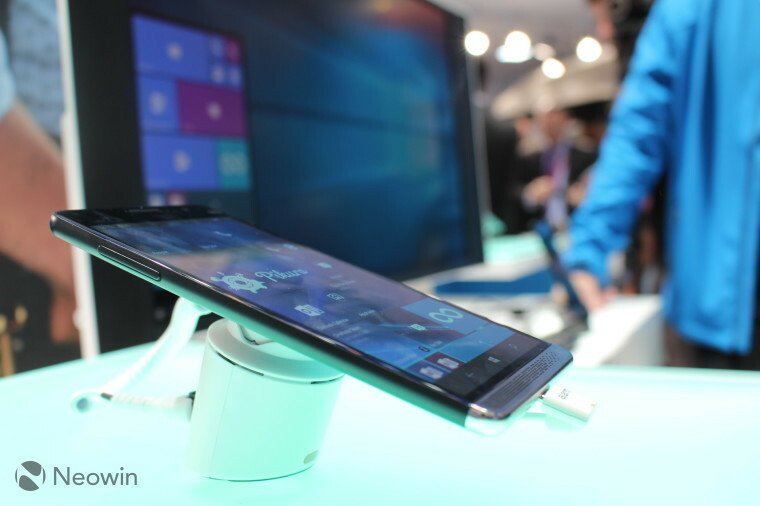 Meanwhile, the cost of Microsoft's range-topping handsets continues to fall. 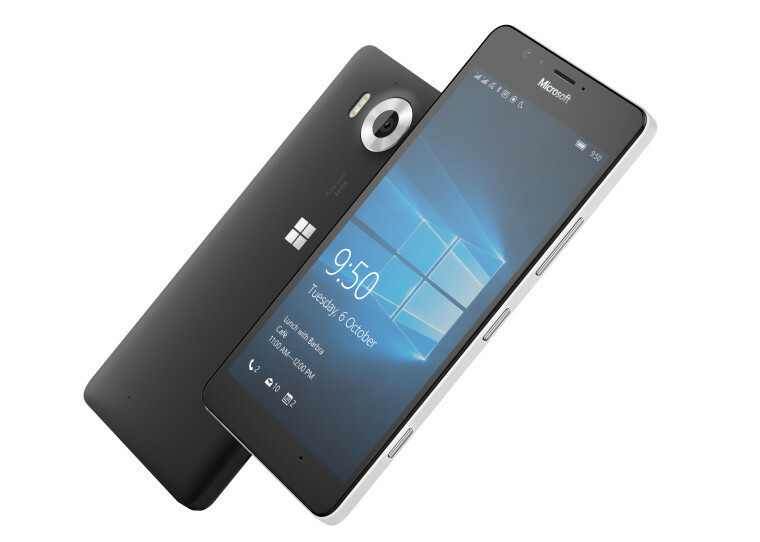 Two months after Microsoft slashed the price of its Lumia 950 by 17% in the UK to £319.99, it's now available for just £289. It originally went on sale there for £449.99. 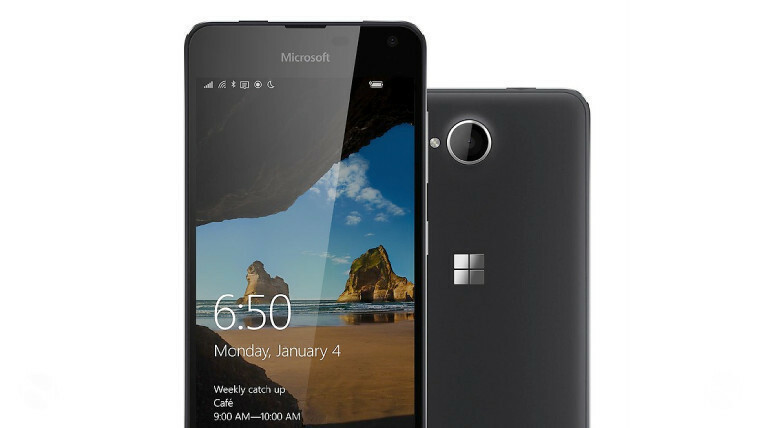 In the US, Cricket Wireless began selling the Lumia 650 for $129.99 three months ago, with no annual contract. 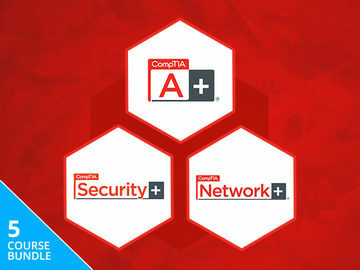 Its price quickly fell to $109.99, before dropping to as little as $69.99 - and it's now available for just $49.99. Also in the US, Microsoft has slashed 15% off its Surface Pro 4 model with Intel Core i5 processor, 4GB RAM and 128GB SSD. And back in the UK, you can now get a Surface 3 with 4G LTE connectivity for £399.99, saving 20% on its full price. 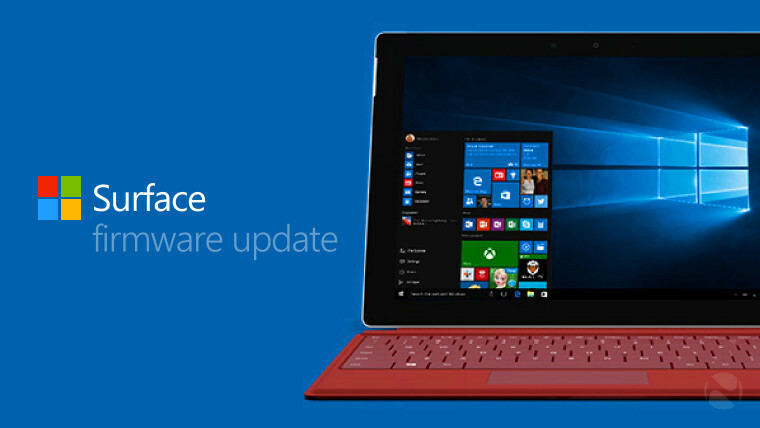 Microsoft released new firmware for the Surface 3 on Tuesday, bringing a range of improvements and fixes. 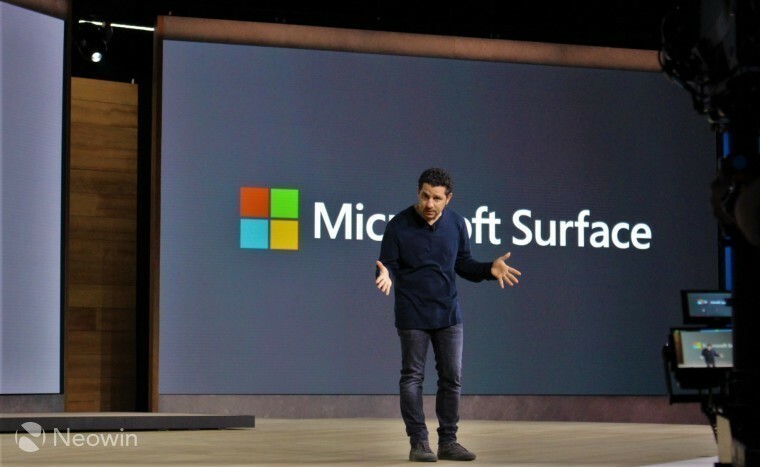 A rumor suggests that Microsoft is testing three new Surface all-in-one PCs. However, it certainly seems odd that the company would even consider releasing a 21-inch model with only 1080p resolution, given the growing trend towards higher-resolution displays on premium devices. The same report also claimed that the next Surface Book will feature a redesigned hinge that does away with the awkward gap between the screen and keyboard when the device is folded shut, which certainly seems likely. 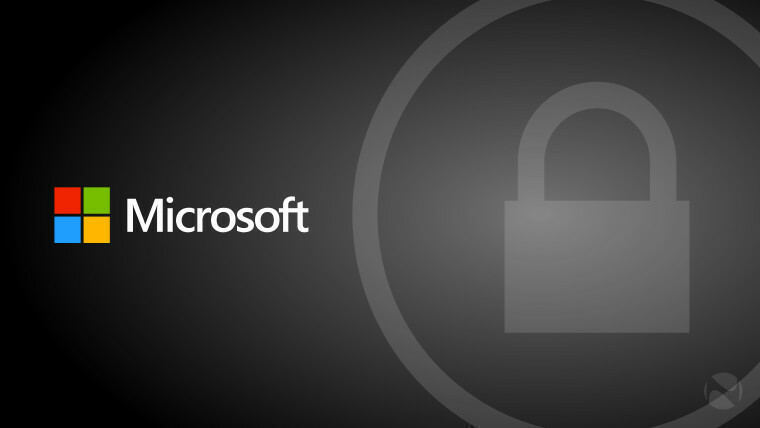 Hackers that discovered a security flaw in Windows which allows attackers to bypass Secure Boot have warned that Microsoft's current fixes haven't provided a permanent solution, and suggested that the flaw might never get patched. 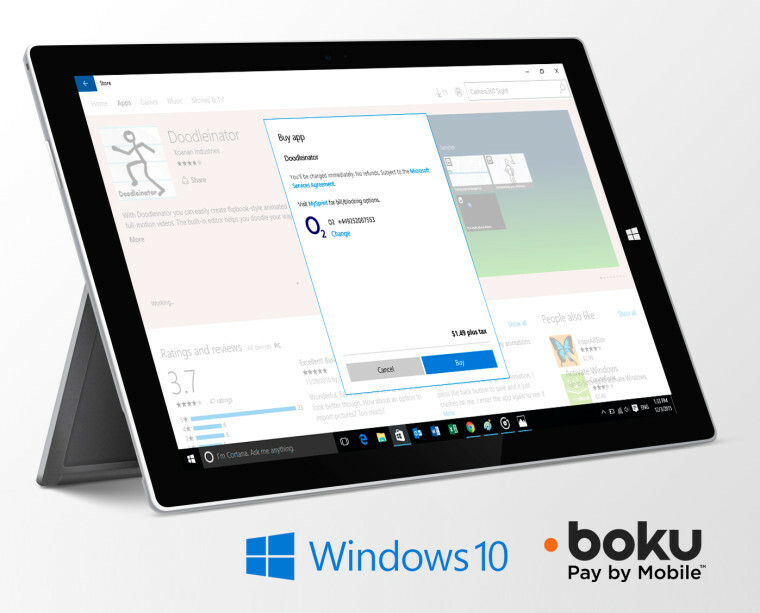 Microsoft brought Windows Store carrier billing support to the UK and Italy on Thursday, with an extension of its partnership with Boku. 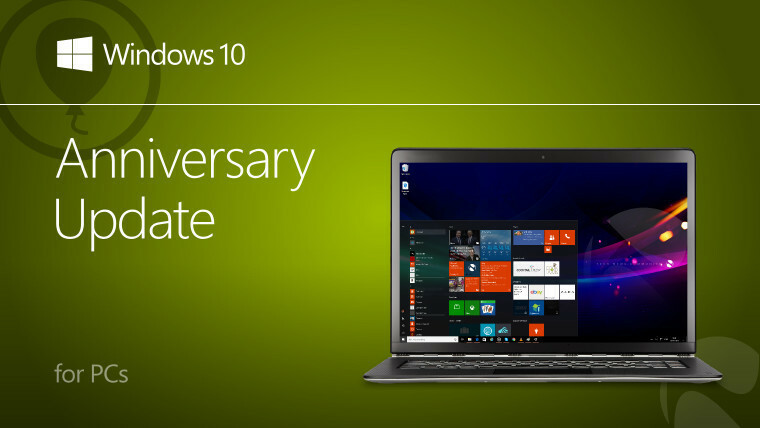 The first cumulative update for the Windows 10 Anniversary Update, since its general release for PCs last week, rolled out on Tuesday, bumping the build number up to 14393.51. Microsoft also made a new cumulative update, build 10586.545, available for those PCs which haven't yet upgraded to the latest version of the OS. 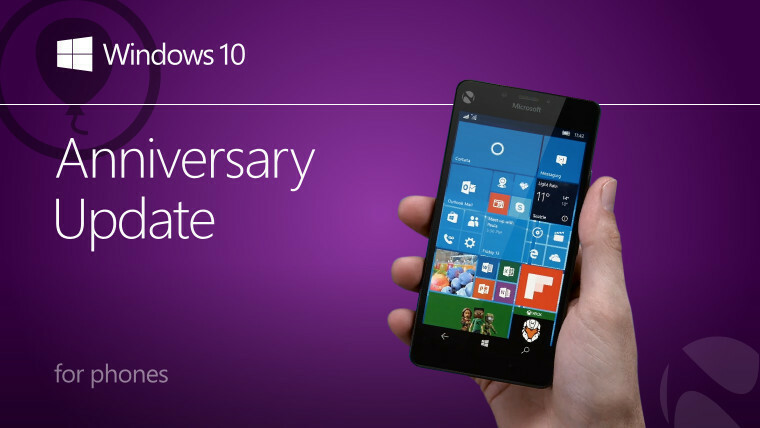 That same update made its way to Windows 10 Mobile devices the next day. Also on Tuesday, Microsoft released Windows 10 Insider Preview build 14393.67 to the Fast, Slow and Release Preview rings, bringing some fixes to both PCs and phones. 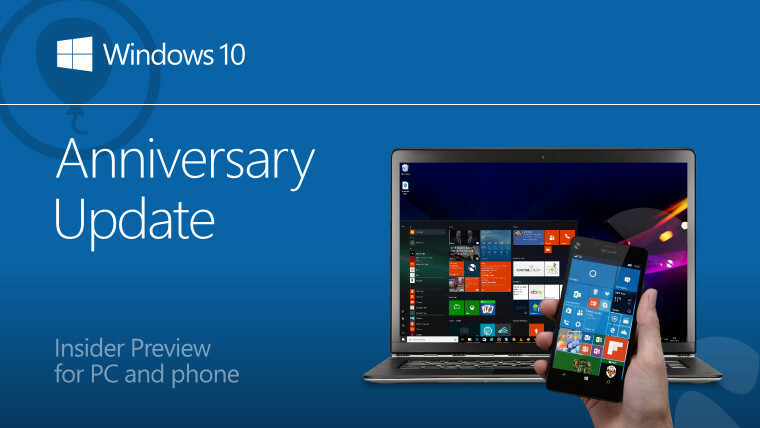 Despite a report "confirming" that Microsoft would release the Anniversary Update for Windows 10 Mobile devices on Tuesday, that proved not to be the case. 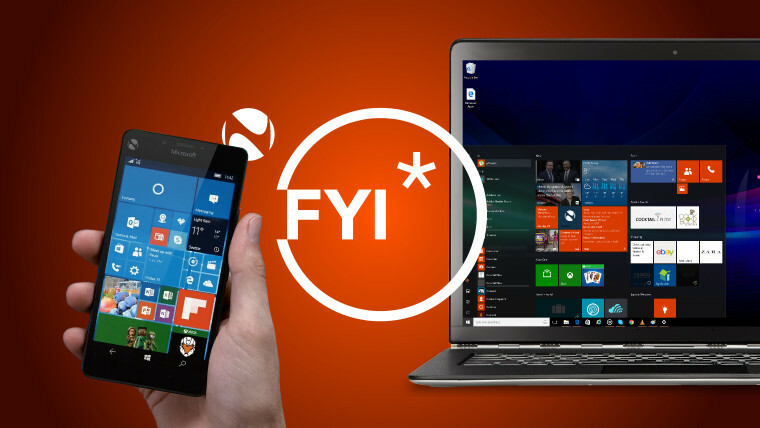 But while the wait continues for the Anniversary Update on phones, Microsoft has already turned its attentions towards the next major update for Windows 10. 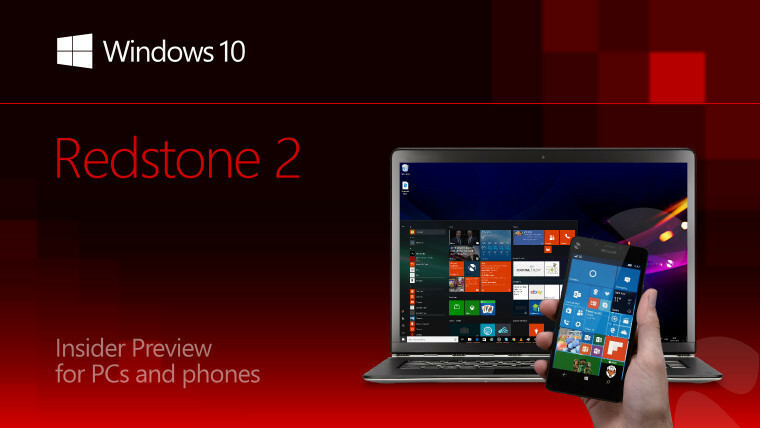 Microsoft said on Tuesday that the first preview builds from its Redstone 2 development branch would be released for PCs first, followed by phones "a few weeks after". It also said that the earliest Redstone 2 builds would focus on 'structural improvements' to OneCore, rather than new features. 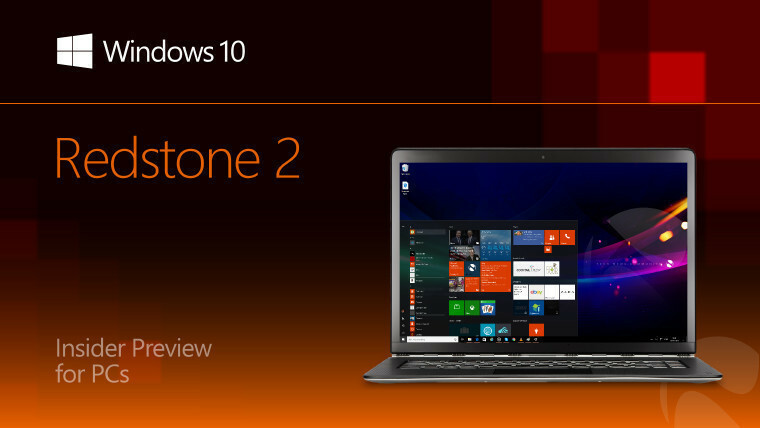 On Thursday, Microsoft made its first Redstone 2 release available, Windows 10 Insider Preview build 14901 for PCs. As anticipated, the list of new features and known issues for this first build was brief. 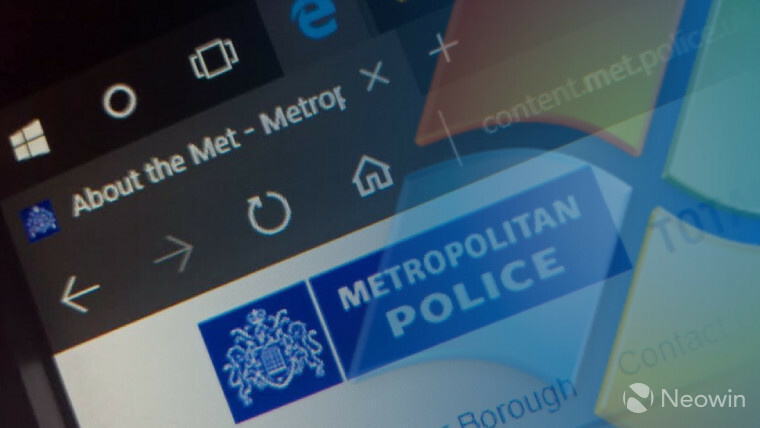 It emerged this week that London's Metropolitan Police Service still has 27,000 Windows XP PCs in active use. 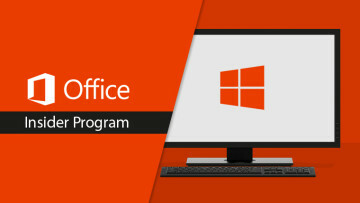 The police force is paying Microsoft £1.65 million (around $2.1 million) to provide extended support for the obsolete OS until April 2017 - and it plans to upgrade its systems not to Windows 10, but to Windows 8.1. 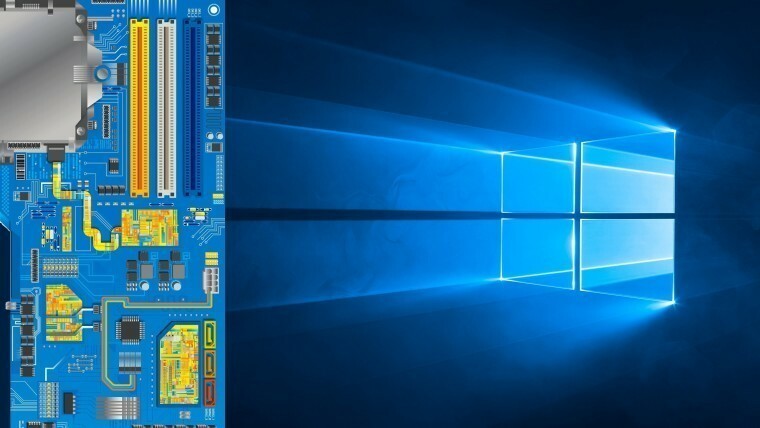 After previously announcing that PCs with Intel's sixth-generation 'Skylake' processors would not be supported if they downgraded from Windows 10 to Windows 7 or 8.1, Microsoft backtracked on that policy this week. 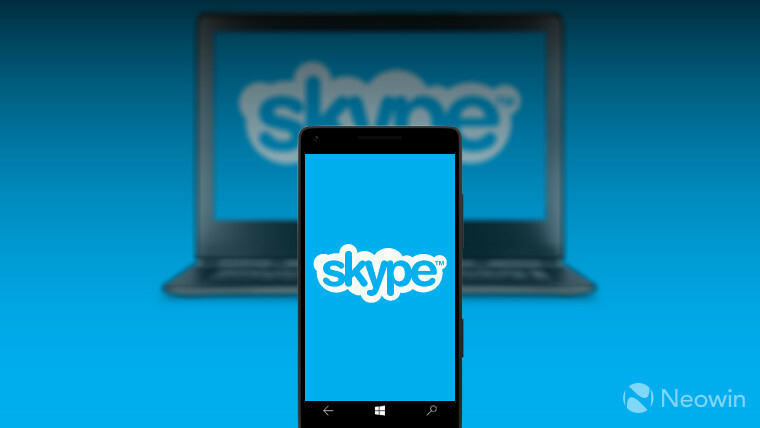 Last month, Microsoft announced that it will end Skype support for Windows Phone 8 and 8.1 devices in October - despite almost 90% of its mobile devices still running those versions of the OS, with many unable to upgrade to Windows 10 Mobile. However, while some sites quickly made assumptions and reported that the app would stop working on those devices in October, that's not actually the case. As Neowin was first to report on Friday, Skype will continue to run on those handsets - and on Windows RT - until "early 2017". But Microsoft warned that "some limitations" may come into effect before then. 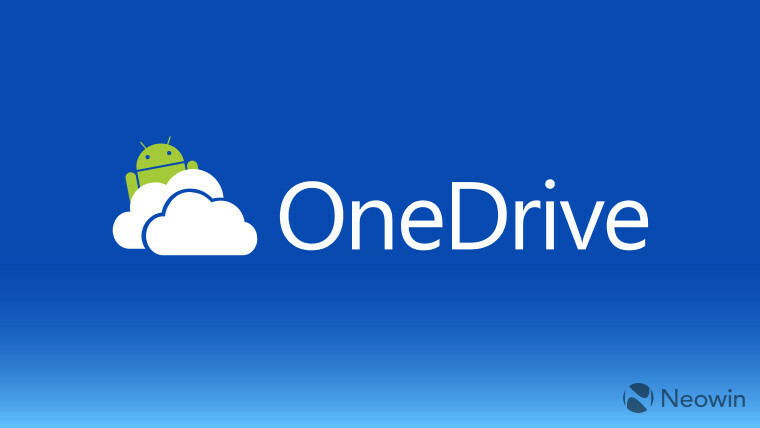 Microsoft's latest update to OneDrive for Android will allow you to "quickly preview your Office documents before editing them". 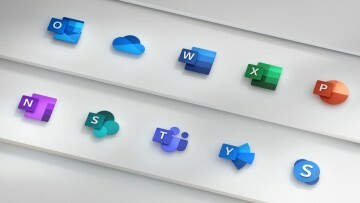 Users can now also subscribe to Office 365 from within the app. 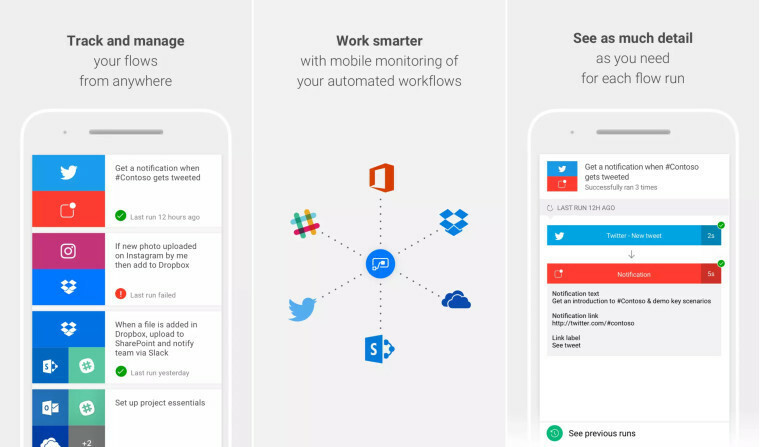 Flow is Microsoft's business-focused tool to allow users to "mash up two or more services" into automated workflows. After launching a limited beta for Android last month, the public beta has now begun. 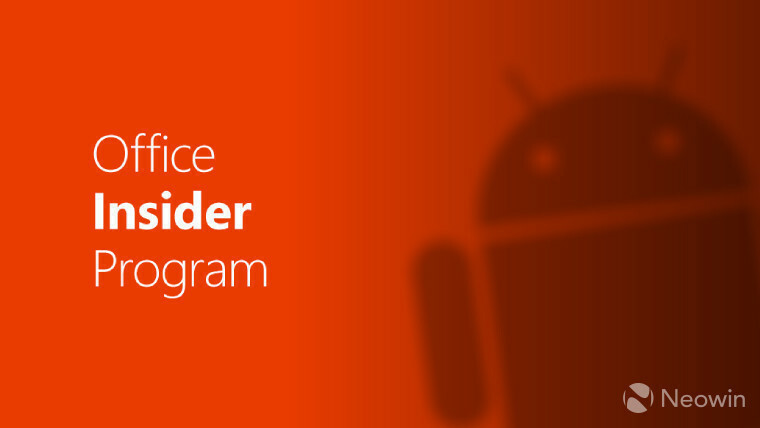 A new Office Insider preview was released for Android users on Tuesday, bringing numerous improvements to Word, Excel and PowerPoint. 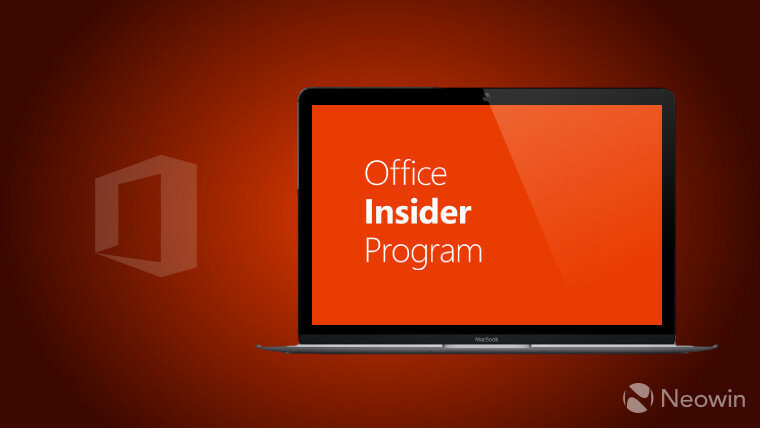 Microsoft also released an Office Insider update for Mac users in the Slow ring, introducing a variety of new features. 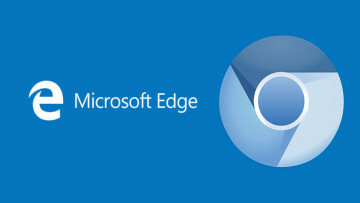 Microsoft is encouraging Windows 10 users to report bugs in its Edge browser on Twitter, using the #EdgeBug hashtag. The company also disabled the decades-old RC4 stream cipher this week in Edge, as well as in Internet Explorer 11 on Windows 7, 8, 8.1 and 10. 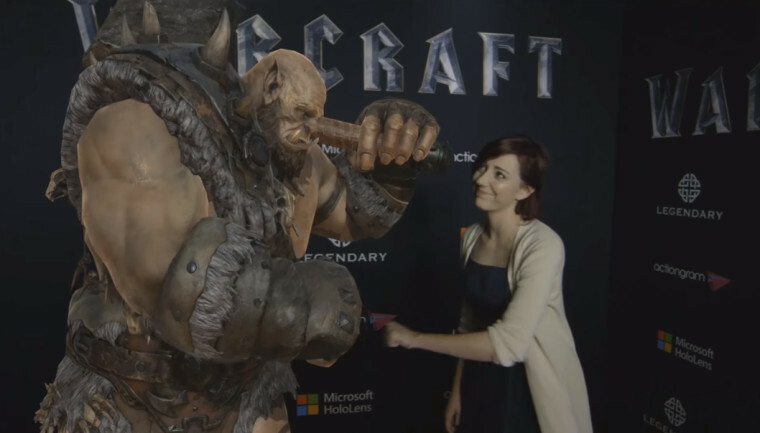 Movie giant Legendary has teamed up with Microsoft to develop new experiences for film fans using its HoloLens headset, such as interacting with film characters in mixed reality videos which they can then share online. 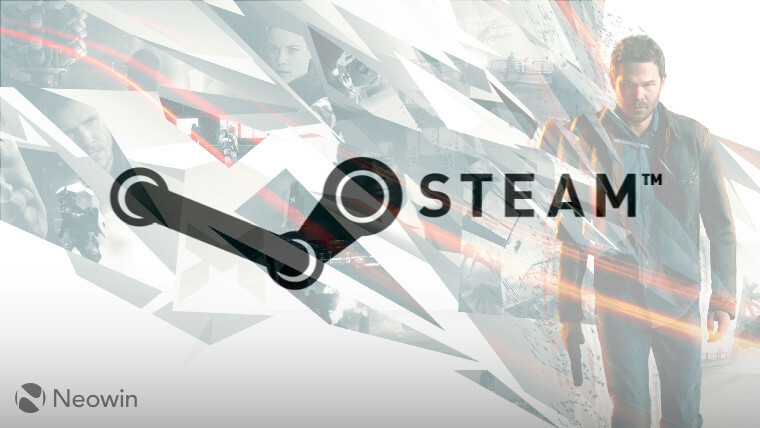 On Wednesday, Microsoft Studios and Remedy Entertainment announced the upcoming launch of Quantum Break on Valve's gaming platform, Steam, priced at $39.99. A new retail package - known as the Quantum Break: Timeless Collector's Edition - will also go on sale at the same price, including a bunch of collectible items, such as posters and a soundtrack CD. In a separate development, comments made by Remedy's Thomas Puha on Thursday suggested that the studio did not intend to continue patching the Windows Store version of Quantum Break following the game's release on Steam. However, Puha later clarified that this wasn't the case, apologizing for the confusion. Fancy taking a step back in time? 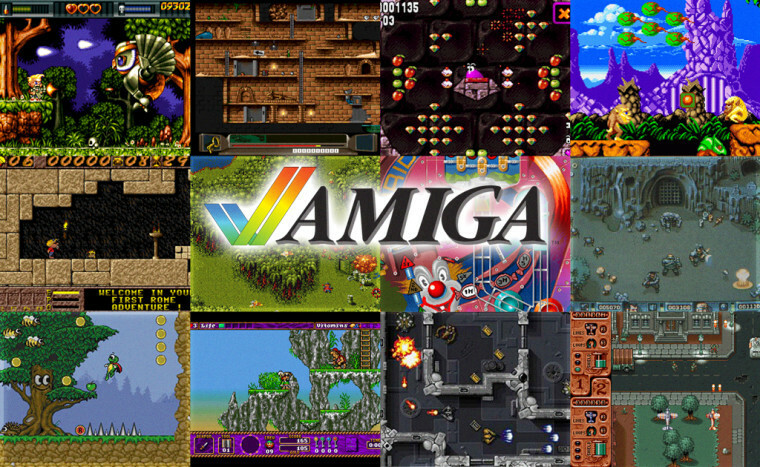 Over 10,000 Amiga games and applications have been made available online for you to check out in your browser. 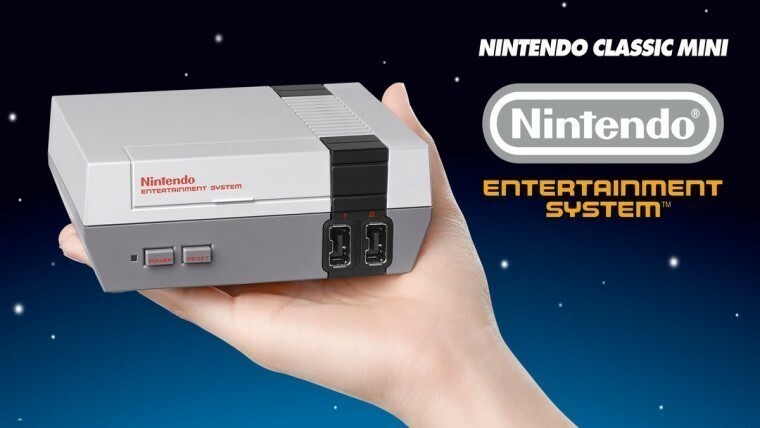 Another hit of nostalgia is coming later this year in the form of Nintendo's Classic Mini, a reimagined version of its old-school NES. 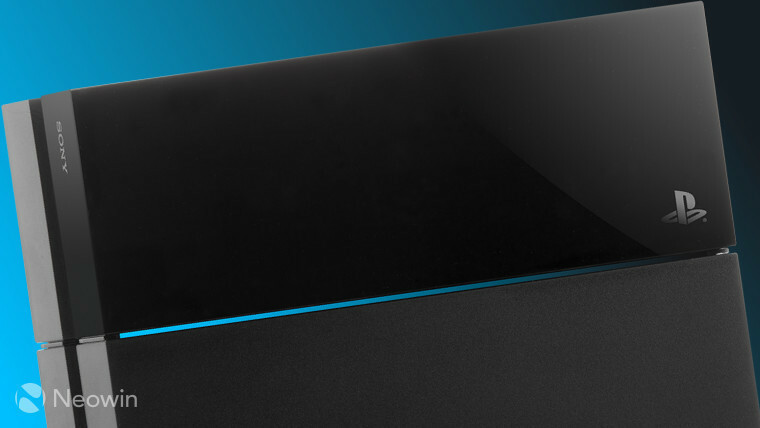 The new console will bring new gaming features to the 30 classic games that come pre-installed. At the other end of the gaming market, Sony has set a date for the unveiling of its new PlayStation 4 'Neo', an upgraded version of its hugely popular console. With support for virtual reality gaming and 4K resolution, the Neo is due to be announced on September 7. The PS4 has outsold the Xbox One by a huge margin since the two consoles launched at roughly the same time in 2013. 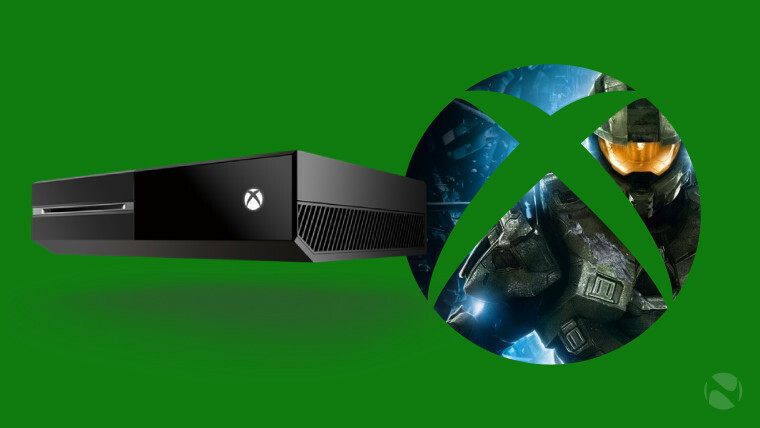 But the Xbox One scored a victory in the US in July, becoming the best-selling console of the month. 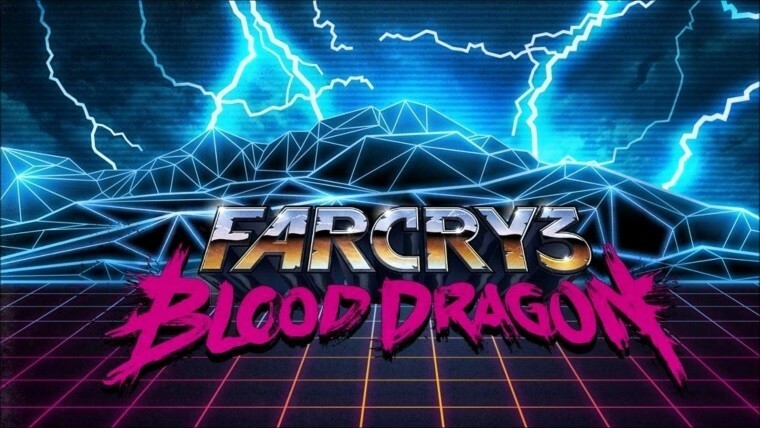 Far Cry 3: Blood Dragon and Shank 2 became the latest Xbox 360 titles to join the Xbox One backward compatibility list. 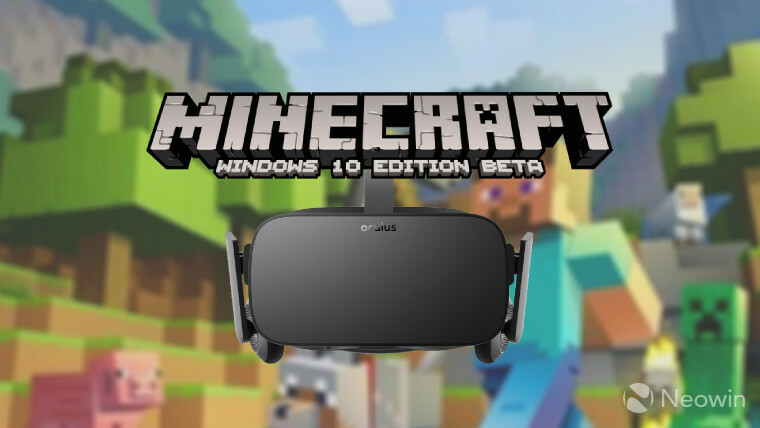 Minecraft: Windows 10 Edition is expected to finally get support for the Oculus Rift VR headset next week. Those plans were originally announced almost eleven months ago. 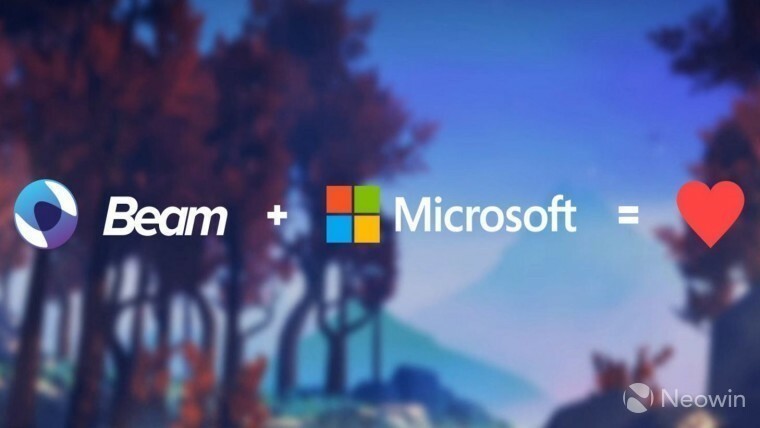 On Thursday, Microsoft announced its acquisition of gaming live-streaming service Beam, which will be integrated into its Xbox team. If you've got a spare ton of cash lying around, check this out. 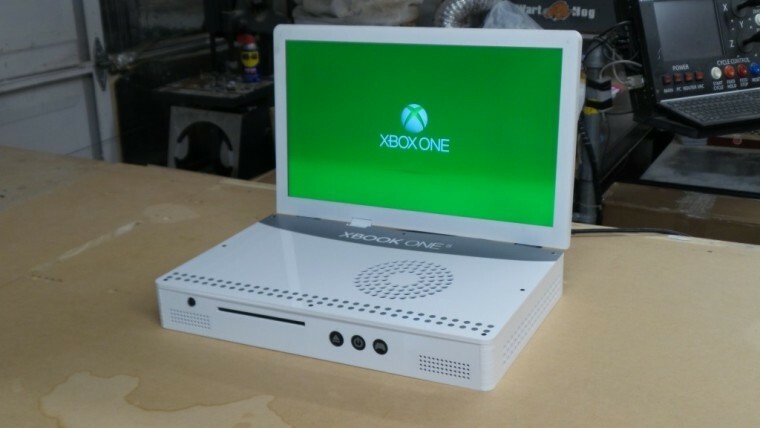 A modder has created a portable version of Microsoft's newest console, calling it the Xbook One S.
But our odyssey around the world of technology ends this week in Nigeria, where a bunch of hapless email scammers accidentally revealed their identities after infecting their own computers with malware. Before we wrap things up for another week, let me first highlight a couple of extra bits around the site that I hope you’ll like. As I mentioned earlier in this roundup, the first Windows 10 Redstone 2 preview build is now available - but Microsoft has warned that the earliest builds in its new Development Branch are likely to be very buggy, and may cause problems for less experienced users. Microsoft has suggested that some users should consider switching to the Slow or Release Preview rings - but you might also want to opt out of receiving Insider Preview builds entirely. 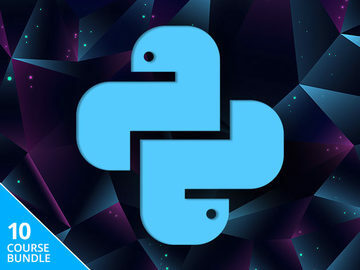 It's pretty easy to do so, and you can always opt back in to receive new builds later. Boyd Chan has put together a handy guide to help you with that. 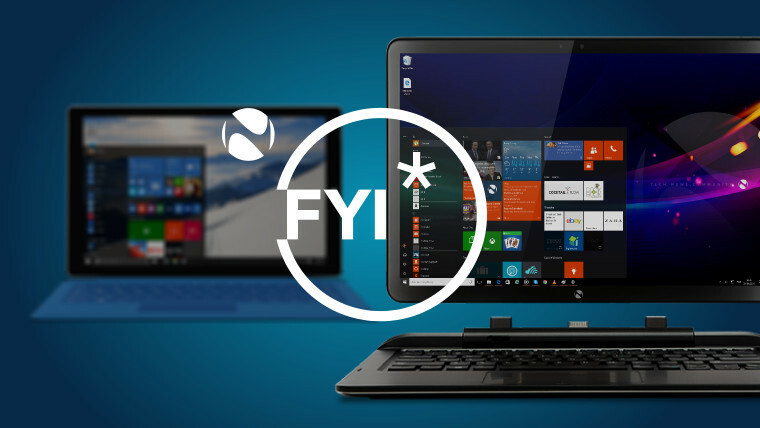 For those not on the Windows Insider Program, Microsoft began rolling out the Windows 10 Anniversary Update to PCs last week - but it may be a while before it makes its way to all devices. But if you don't want to wait any longer, it's really easy to jump the queue and get the Anniversary Update right now - check out our guide on how to do so. But if you have upgraded to the Anniversary Update, we're eager to hear your thoughts on it so far. 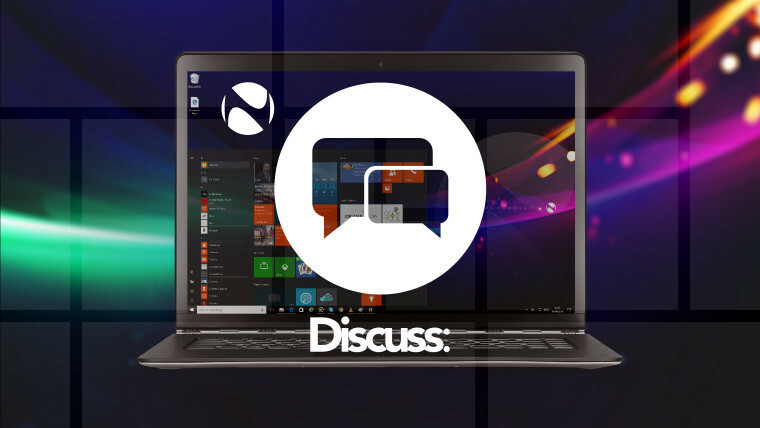 Join in our latest discussion, and have your say!